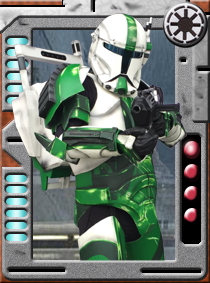 What made you want to join the 501st? 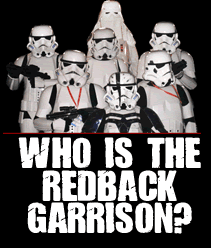 When I first found out about the 501st and Redbacks at SupaNova Brisbane 2009, I was amazed at the quality of the costumes and how involved the group was in raising money/awareness for various charities. Helping the community whilst having fun sounded like a win win for me! So I just knew I had to be a part of this group. What is your most memorable troop? The midnight screening of Star Wars Ep7 The Force Awakens @ Chermside Cinemas in 2015. What is your favourite Star Wars character? R2-D2 and Boba Fett. This entry was posted on Monday, December 19th, 2016 at 6:00 am	and is filed under Trooper Spotlight. You can follow any responses to this entry through the RSS 2.0 feed. Both comments and pings are currently closed.